Begin the winter months by treating yourself to a weekend of engaging with your life in its many dimensions: personal relationships, career decisions, spiritual longings and social concerns. In a quiet and relaxed setting overlooking the bush, you will be introduced to a process of writing that enables greater awareness of inner strengths and resources and offers a dynamic method for dealing with issues and concerns. 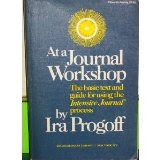 In the Life Context workshop you work through carefully designed exercises of the Intensive Journal workbook, which becomes a means of drawing forth your potential and deepening your spirituality. Kate Scholl has been leading Intensive Journal® workshops for 30 years and is passionate about their potential for enabling one to live more creatively and genuinely. Cost $140 or $120 for Eremos members; $20 less for concession. All workshop materials and morning and afternoon tea provided. Please bring your own lunch and a 3 ring binder. Full details are on the attached PDF (link at bottom of page). Places are limited, so please register by 30th May to avoid disappointment. To register please use the online booking form. If you would like to know more about the workshop, please contact Kate Scholl at the email address below or tel 0425 211 065.